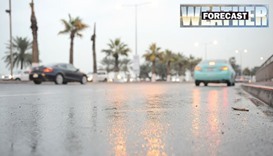 Rain, associated strong wind and low visibility are expected by Saturday afternoon in the central and southern areas of Qatar. 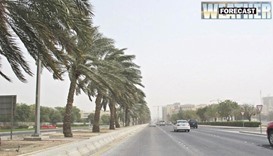 The maximum temperature of 44C is forecast at Abu Samra, followed by 42C (Doha), 41C (Mesaieed, Wakrah, Dukhan), 39C (Al Khor) and 38C (Ruwais). 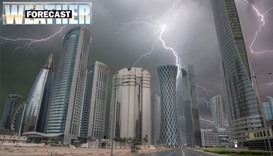 The minimum temperature of 29C is expected at Al Khor and Ruwais, followed by 30C (Mesaieed, Wakrah, Dukhan, Abu Samra) and 32C (Doha). 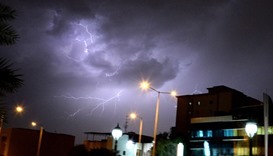 Friday’s peak temperature of 46C was recorded at Abu Samra, followed by 43C at Doha, Mesaieed and Dukhan, 42C at Al Khor and 39C at Ruwais. 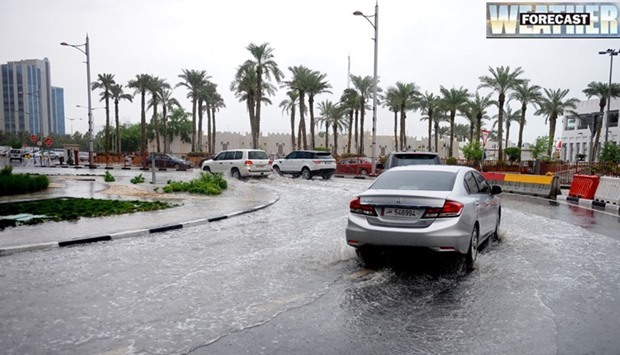 The minimum temperature of 28C was recorded Friday at Abu Samra and Al Khor, followed by 29C at Ruwais, 30C at Dukhan, 31C at Mesaieed and 33C in Doha.